Photo courtesy of Actual Records. 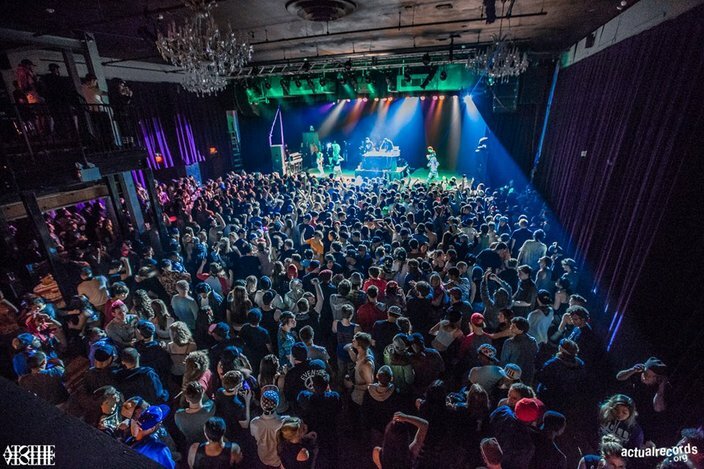 How do a Philadelphia-based record label and concert promotion company grow from hosting house parties to supporting internationally recognized acts like Santigold and Diplo and selling out venues like TLA and the Fillmore in just a few years? Actual Records, which has done just that, did it all by combining the DIY ethic of punk music with the sky-high energy of the electronic dance music movement. Founded by Philly-based DJ and organizer Aaron Ruxbin in 2006, Actual Records is an independent record label that doubles as one of the liveliest concert promoters on the city’s bubbling EDM scene. The name Actual Records isn't a metaphor or ironic statement. The label has dedicated a significant amount of energy and resources releasing actual vinyl records for DJs, collectors and music aficionados who have an appreciation for this beloved media format. “For a time it was just physical releases, eventually it became more concert promotion,” Ruxbin said. It all started with Ruxbin making home recordings of his bands and the local punk scene with a constellation of limited-run, self-produced and released records, tapes and CDs. Initially Ruxbin used the Actual Records banner to release a slew of eclectic releases, like that of his former grindcore outfit No Thanks. But as DJ-ing and electronic music became more central to Ruxbin’s creative output in the early to mid-2000s, Actual began to develop its own identity. 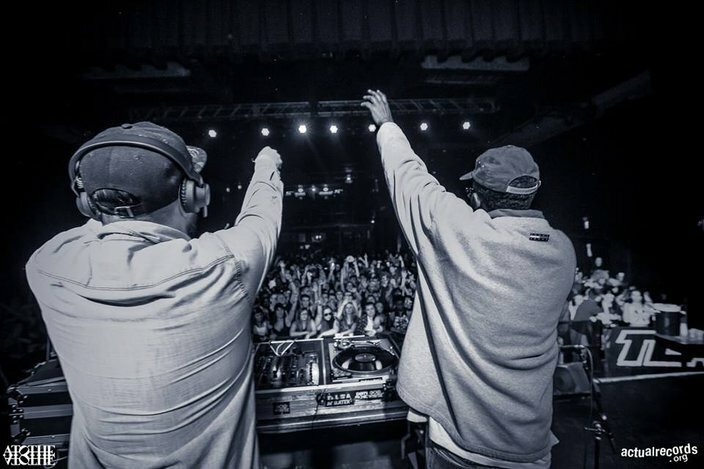 It was during this time that the Philly party scene began a fertile incubation period, when seemingly unrelated genres such as hip-hop, house, club music were colliding at underground parties hosted in warehouses and halls throughout the city. Diplo (aka Temple alum Wesley Pentz) and DJ Low Budget’s legendary Hollertronix parties and the Mad Decent label, which grew out of that movement, remain a big influence on Actual Records. After years of grinding it out in Philly’s underground party scene, hosting countless house parties, warehouse jams and club gigs, Actual Records saw its profile elevated. 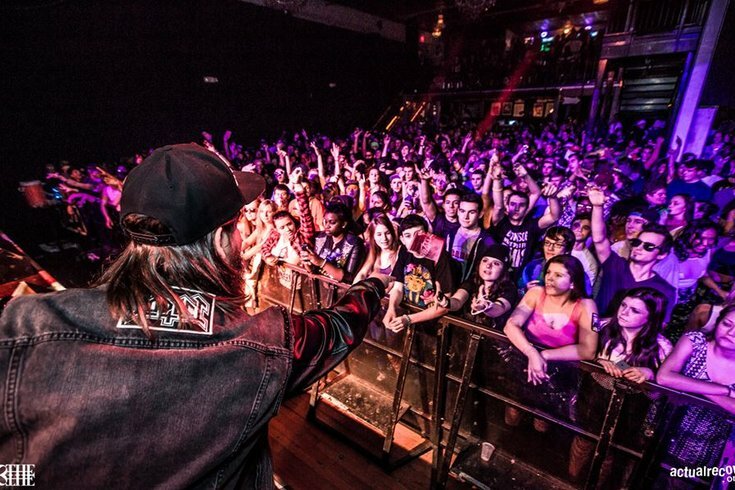 Since then they've partnered with EDM giants such as the Mad Decent Block Party and Bass Nation as well as selling out some of the city’s larger venues. “It’s amazing to work with people on this level. It’s awesome to be able to influence a flyer, a lineup and show experience and see that change ripple through a city and provide a better event. People consistently say they love coming back to our shows and I think that it’s a really magic combination of people who are super competent and love doing what they do, meeting an audience [that] is just hungry for anything and ready to take chances," Ruxbin said. Looking toward the future of their company, the movement that it has spawned and the Philly scene in general, Ruxbin is determined and optimistic. “It’s weird man, the label changes as our needs do. We have a slew of new physical releases coming out starting with Buddy Leezle and Architekt’s ‘Dwellers on The Threshold’ which is a David Lynch/Twin Peaks-themed hip-hop project that will probably redefine how a lot of people look at the label," he said. "We have started some new brands and projects that will help shape what we do with EDM and the bigger room stuff and differentiate that from the ‘actual records’ that we release, but the two will always be tied together, because if we’re promoting something or someone’s coming to our town, we want it to be a pure promotion of real releases.